Posted on Tuesday, April 23rd, 2013 at 2:12 pm. 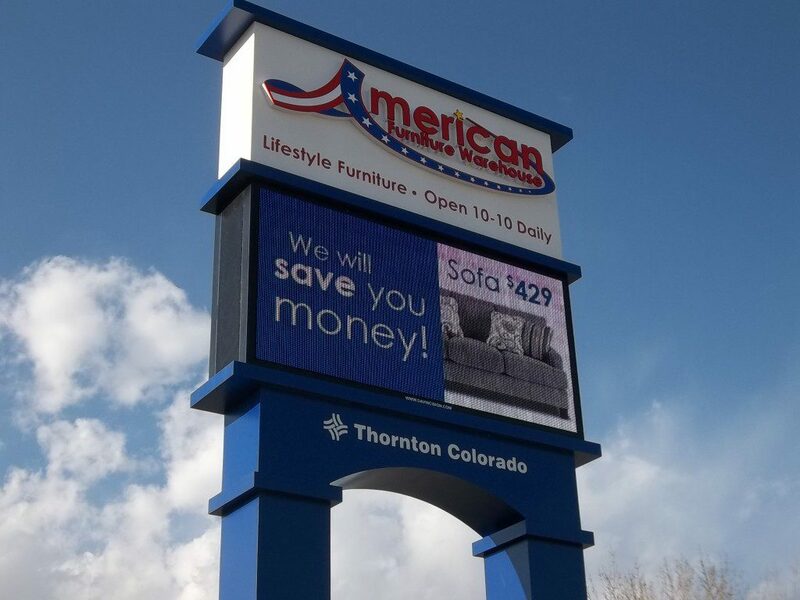 DaVinci Signs is putting the finishing touches on a new 50 foot full-color electronic message center for American Furniture Warehouse in Thornton, Colorado. Visible from I-25 in both directions, the project was completed in 4 months. DaVinci is proud to partner with another Colorado-owned and operated business.